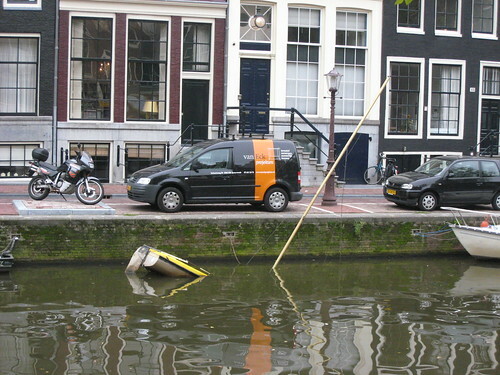 You see a lot of these kinds of rafts in Amsterdam, but usually they’re attached to a houseboat of sorts. To find one in the wild is exceptional. 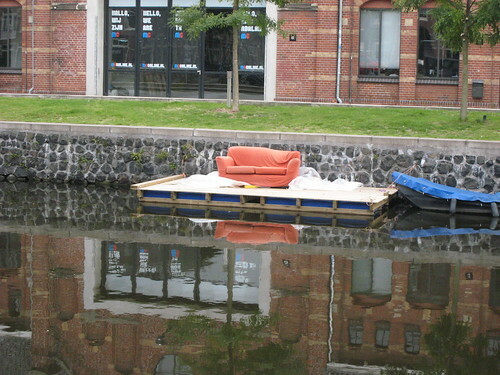 You have to wonder: who, with all the rainy weather, is going to lounge on this one?